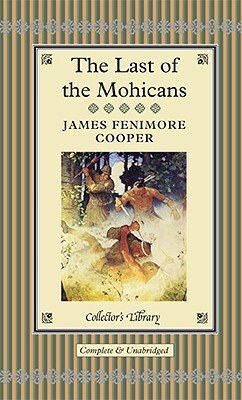 Romance, war, adventure, danger: no wonder James Fenimore Cooper's novel has inspired countless film and TV adaptations. The Last of the Mohicans is an epic tale of American frontier life, set in the colonial era when the French and the English fought for control of the New World and needed the help of the Native American tribes to win. Cora and Alice Munro leave the safety of the English fort to visit their father, a general in the British army. But their friendly Iroquois guide betrays them to the French and now their only hope for survival lies with four men: their companion on the journey, Major Duncan Heyward; the frontier scout Hawkeye; and Hawkeye's Mohican friends, Chingachgook and his son, Uncas. Fenimore Cooper's powerful saga of doomed love and heart-racing drama has captivated generations of readers across the globe. The world's greatest works of literature are now available in these beautiful keepsake volumes. Bound in real cloth, and featuring gilt edges and ribbon markers, these beautifully produced books are a wonderful way to build a handsome library of classic literature. These are the essential novels that belong in every home. They'll transport readers to imaginary worlds and provide excitement, entertainment, and enlightenment for years to come. All of these novels feature attractive illustrations and have an unequalled period feel that will grace the library, the bedside table or bureau.